Don't Take Your Brain Health for Granted. Ok, so you had a bad mullet. And that polyester pantsuit was pretty bad. Those regrets are small. Not taking care of your brain would be huge. You can keep your mind sharp and help prevent stroke by making simple lifestyle changes. So let’s get brain-healthy! Take these simple steps to help avoid stroke, dementia, or memory loss. 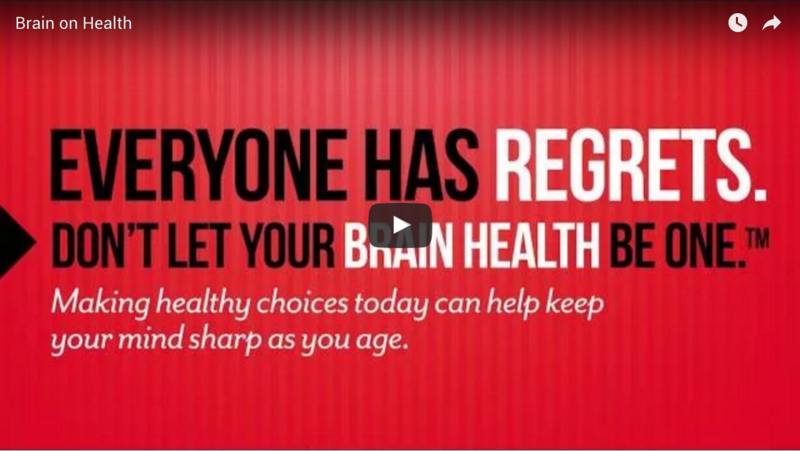 Thankfully, we have the resources and tips to help you adopt brain-healthy behaviors. High blood pressure is the No. 1 risk factor for stroke. Know your numbers and take steps to control your blood pressure for a healthy brain. Learn more. It’s time to get your heart pumping, helping supply oxygen and blood flow to the brain with exercise. Walk, run, dance, even rake leaves. Activity throughout the day can make a big difference. Get tips to get moving. Left untreated, diabetes can cause a number of health complications. It’s important to get your blood sugar tested and under control. Guess what, the same diet for a healthy heart, applies to a healthy brain! Foods like fruits, vegetables, fish, and whole grains can lower your risk for stroke and heart disease. Give your brain the nutrients it needs to stay healthy with these eating healthy tips. A healthy weight and Body Mass Index (BMI) can lead to health benefits like better regulation of your blood pressure. Get smart weight loss strategies. A healthy brain requires normal blood flow and oxygen, which may be impacted by high cholesterol. Take steps to manage it. Smoking is a leading risk factor for stroke and slow brain function! Yikes! Learn how to quit today. Read More About the Connection Between Heart & Brain Health and Stroke Prevention. ©2016 American Heart Association, Inc. All rights reserved. Unauthorized use prohibited.The American Heart Association is a qualified 501(c)(3) tax-exempt organization.